Figuring out the kind of property to buy will help you narrow down your choices among available properties in the area. Make a list of things you want your property to have, particularly the kind of amenities you want, where you want your property to be located, and what you’d like to do with it in the future. Take the time to find out about the breadth of properties in Vancouver by researching the local real estate market. Doing so will give you a good gauge of what you will find there so you can set your expectations accordingly. Also note that there are certain differences in the type and size of land that can be owned per province, as well as purchasing and tax requirements depending on whether the buyer is a Canadian resident or a non-resident. Vancouver, for example, recently imposed a 15% property tax on foreign home buyers in order to cool the market. In relation to this, the city has now added a “speculation tax” for foreign investors who don’t pay income tax in British Columbia and who are not living in the houses they buy. Such details differentiate the Vancouver real estate market from other areas. One of the most important aspects of buying property is figuring out how much you can afford. Take time to examine your finances with a professional and look into everything including your income, expenses, debt, and savings. The most efficient way to figure out how much you can afford is by getting preapproved for a mortgage. Obtaining pre-approval from a lender not only gives you a clear idea of how much you can spend on a home, it also tells sellers and real estate agents that you’re serious about buying. This is an advantage especially in the competitive Vancouver market. Getting a real estate agent to help you through the property-buying process is always a smart move. A real estate agent immersed in the local market can provide valuable insight. Choose an agent with buying and selling experience in the type of property you’re looking for. Make sure they have your best interests in mind. Vet all claims by seeking out testimonials and reviews from previous clients. Your chosen agent will be your representative in buying the property you have selected, starting with the drafting of an Offer of Purchase, up to the actual purchase. After you make the offer, the seller can either accept it or make a counter-offer. If they decide to make a counter-offer, you too have the option to accept or reject it. Once you and the seller agree on the terms and conditions of the Offer of Purchase, the document becomes the contract which both parties shall sign. 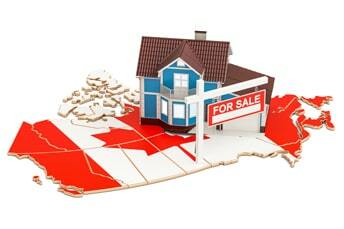 Need more helpful tips and advice on how to buy a property in Vancouver? Don Munro of Don Munro Real Estate has been in the business for over 35 years and gives his clients the best home buying experience possible. Thinking of buying a home in the Lower Mainland, Vancouver, Chilliwack, Abbotsford, or Langley areas? Just give him a call at 6048177338 or send an email to botsoldmunro(at)gmail(dotted)com.